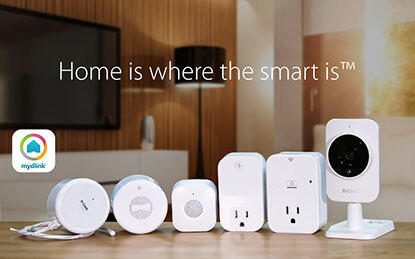 Whole-home solutions including high-performance routers, 180° wide-eye security cameras and smart devices to make your home work for you. Routers with older wireless standards (802.11N) can't stand up to the challenge, and your devices suffer with buffering, lag, and other performance problems. 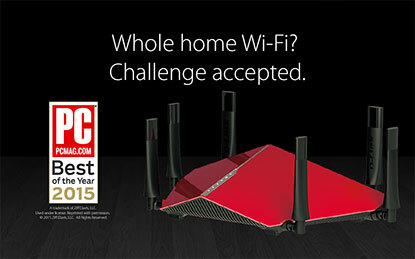 That's where D-Link's Ultra Wi-Fi Series routers come in. Be there. Even when you're not. 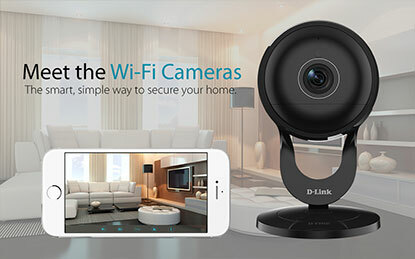 Keep an eye on the people and places you love with D-Link's security cameras and free myLink mobile app. When your home reacts to you, it's not magic — but it's pretty darn close. From networking, security and surveillance to home automation, D-Link makes your home brighter, safer and more in tune with you.